This guest post was written by Jonathan Raveh, the Director of Monetization at CallApp, a caller ID app. Having spent the last few years working at ad networks, I recently left the dark side to join a developer as the Head of Monetization. In this new role, I have been given access to the publisher’s view of ad mediation, which I previously perceived as a black hole into which ad networks were slotted and left to exist in perpetuity on the event horizon, forever frozen in time. After 45 days in my new position, I’m realizing that I still have much to learn about ad mediation, but many things are already very clear. While each SDK implementation is its own beast, the insights I have learned about ad mediation in this short period, stacked with my previous experience in the ad tech industry, have helped me develop these 8 Simple Rules for Effective Ad Mediation. 1) The waterfall – Talking to any network you’re working with, you will always hear the same suggestion – ‘put me at the very top, and the very bottom’. Translation – ‘let me get best ad space I can get, and give me a second chance to collect all the leftovers as well’. In layer 2 (Networks 4-6), you’ll find your 2nd tier networks – they are usually strong in some geos but lack the overall strength like Admob or tier 1 superiority like Facebook. Nevertheless, those networks are an important part of the waterfall – they usually generate 10-30 percent of your revenue (sometimes more), and keep you reasonably stable when any network from layer 1 is having difficulties. There is no rule of thumb as to how many networks should exist in the middle of your waterfall. I’ve used 3 and 4, and I’ll probably go 5 or 6 within a month or 2. Balancing this middle level of your waterfall is not easy as it is certainly the most dynamic layer, but it’s worth it. Bottom trio (layer 3) has the same layout as on top (same premium ad networks – 1-2-3), but of course it doesn’t have to be in the same order. 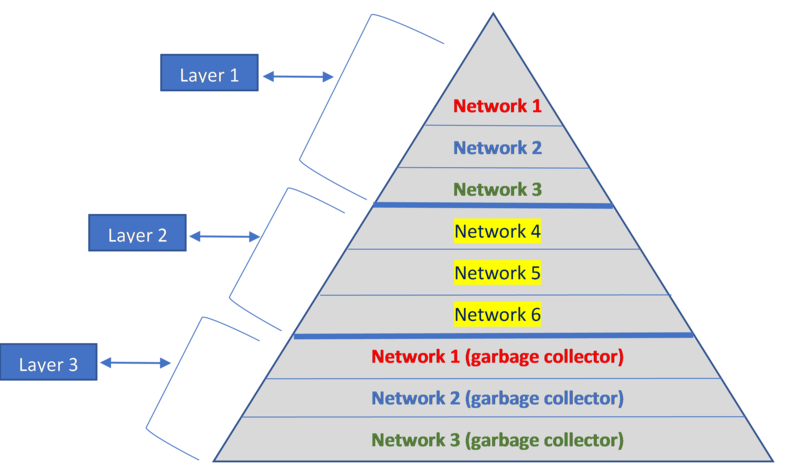 We call the bottom layer ‘Garbage Collector’ – networks positioned there are set up to get 100% fill rate, collect all the ad leftovers (with usually lower eCPMs) and make sure no ad goes to waste. The garbage collectors are meant to exist in all your waterfall with a global presence. Your goal is to make sure that most ads are filled above the lowest level. If needed, you can add another layer of your premium networks (set to optimize your eCPM, not fill), to make sure of that. Bottom line: balancing the waterfall is where you’ll spend a great deal of your time. Diversify your risks, but make sure you know who leads the pack and who is there to support it. Make sure the leading pack gets 2 or 3 chances to show you an ad: 1 is not enough, and more than 3 is too many. 2) It’s not (only) about technology. It’s about demand – the general notion in the industry is that technology is the forefront of business excellence. I beg to differ. 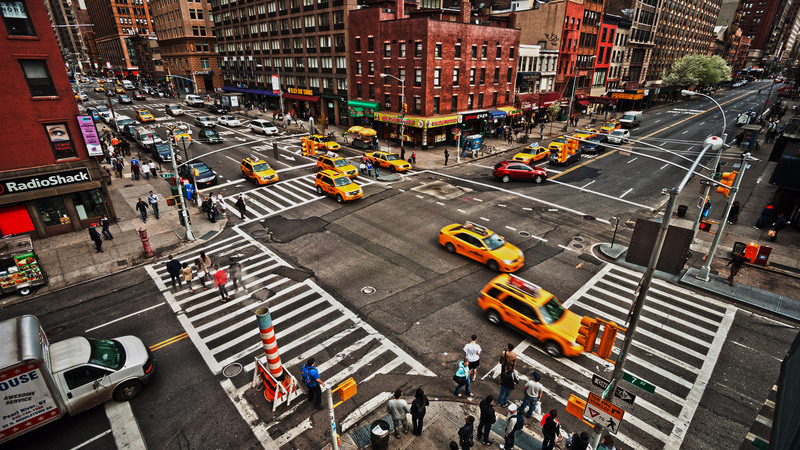 I’m not arguing that technology isn’t important – of course it is. What I am claiming is that is that from I witnessed, the technological differences are much more important when deciding which mediation to work with. Once you have picked your winner – your chosen mediation evens out the playing field for ad networks, making them different mostly in their quality of demand, and their ability to set decent CPM floor price. General eCPM values for your strongest GEO’s. Number of average campaigns in your strongest GEO’s (ask to see a list). Ability to set floor prices or to change the basic 70-30 rev share (some times through negotiation). This information should be compared to your existing ad partners, and grouped together with some feedbacks about level support and payment, this would qualify you to make a decision. Do not settle for less. 3) Admob & Facebook – let’s be honest here – those 2 currently hold the largest pool of demand, and while they are not strong in some verticals such as video (subject to change in 2017 at least for Facebook), they still HAVE to exist in your waterfall, which ever network or ad format you’re using. I’m not suggesting that you to put them on top – that is a decision based on performance. What I am telling you is that if you leave them out of the game – something maybe wrong in your configuration, and you are probably losing out on revenues. My personal experience – Facebook will provide the best results in most Tier 1 countries, especially US and Australia. Admob will rule most of ROW. Bottom line: make it work with those 2. Invest more time optimizing their performance and position than all the others. 4) Concentrate on Geos – my first intuition, coming from the ad network arena, was to manage the waterfall by strategically focusing on network performance. It didn’t take me long to realize how very wrong I was. Another approach was to concentrate on my ad units, start there and work my way down. After 2 weeks of learning the waterfall, it became evident to me that the first and main focus should be on Geos. The problem is: most apps have users from many parts of the world, and the huge difference in user behavior in the app, as well as the difference in fill rates, eCPM and networks, makes this job much more complicated. So, you can set US and Nigeria (for example) in the same waterfall, but it will probably work against you in at least one of those countries, if not both. Set a different waterfall in every one of your biggest Geos, and add similar behaving Geos to the waterfall. You can make layer 3 (AKA garbage collector) to run in all waterfalls, so you will only have to daily manage 2 layers. This will make your life a bit easier. 5) Test & measure everything – optimization is a never-ending process, but there is a certain peak you can reach, in which more extensive optimization is simply not worth your time. In my opinion, in the same ad setup, when ARPDAU fluctuation is less than 20 percent weekly – you are on the right track. In that point in time, testing should take a more organized approach in terms of the number of tests, Geos and volume. There’s no magic number, but if you have over 500K DAU, one test per week isn’t enough, probably. Bottom line: set up 2 big changes per week, and test their impact over the next 5 days (minimum). 6) There is no alternative to eCPM & ARPDAU – Out of all the variables and parameters to be researched and evaluated, eCPM is the clearest of all. Unless you have a lot of unfilled impressions (an if so, you’re probably doing something wrong), your eCPM will let you know if you are on the right track. Think of eCPM as your micro manager for revenue. It sets the bar every day and you must measure it by GEO, by ad unit and by any other relevant segment. This leads the path to good optimization. ARPDAU, on the other hand, sits in a level of its own. If eCPM is your micro manager, ARPDAU is your macro manger. Measured in the right metrics, ARPDAU is the best connector between product, monetization and growth. Analyzing ARPDAU is much harder as it is effected much more by the product, ASO, Apple/Google policies, retention activities, virality and many other factors, but if you track the elements that affect it, ARPDAU is the holy grail of app monetization. Improving your ARPDAU is your main goal. Bottom line: eCPM & ARPDAU should be analyzed on a daily basis. Big shifts in both parameters should never be ignored. 7) Adapters are your friends – Forget the networks that your mediation platform already incorporated in the mediation as your default collection – those ‘chosen ones’ are not necessarily your best partners. If your users are not coming only from the US & UK (they hardly ever do), this means you’re missing out on some good networks that are not integrated in the mediation but have perfectly good adapters that allow you to integrate them. Yes, it means another SDK to integrate. Yes, it’s more work setting up. Yes, it could mean a world of difference in your revenues, especially when you move further down the Tiers. Bottom line: search for the networks that are strong in your users’ Geos and talk to them. Some may have adapters. Be prepared to work a bit more to yield an extra 10%-20% of revenue in Geos that haven’t reached their full potential. 8) Communication will prevent loss – all the networks you’re working with should be regarded as friends, not just partners. A partner is not a friend. However, a friend can be a very good partner. It wasn’t easy, but I have educated some of my networks to alert me when they expect a big eCPM drop in a certain Geo. That happens a lot, usually when a big and dominant campaign is paused or removed. When you find out in time, a simple change in the waterfall will prevent you from losing substantial revenue. The network gains your confidence by alerting you, and they will also gain their position back once they manage to get better demand. This is of course one example of operating in friendship mode. I encourage all of you to try this approach. Bottom line: do not underestimate the power of personal connection. It is a business choice as much as it is a personal one. There’s so much more, of course – Floor eCPMs, header bidding, direct deals and so on. However, most of the basic strategy is here. A few disclaimers – these recommendations reflect (only) my opinion, and some items are very relevant to native ads (and maybe less to other ad formats). However, most of these recommendations will be relevant across of ad verticals. Most important lesson, however, is this – set your own goals and don’t be too proud to constantly question yourself about the road you have chosen. Ultimately this will lead to better results. 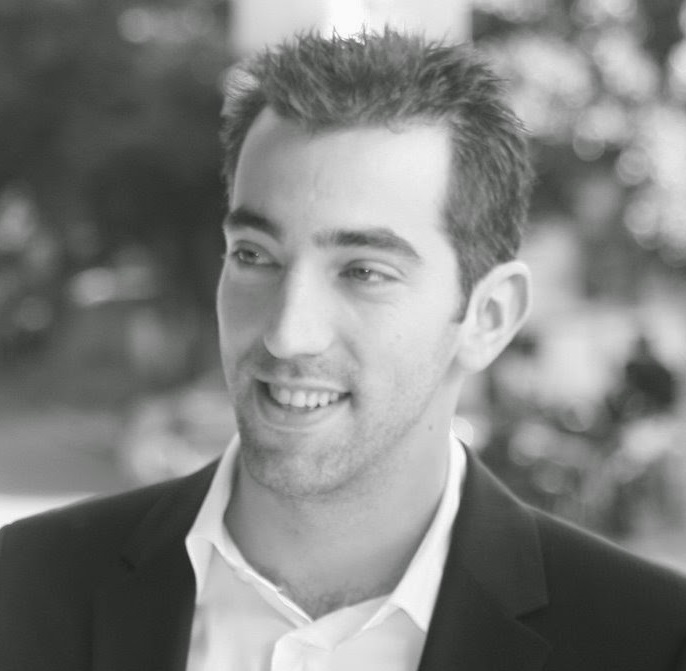 Jonathan Raveh is the Director of Monetization at CallApp, a caller ID app. Jonathan has 10 years’ experience in the mobile industry in various content & advertising positions, with previous position as the Director of Partnerships & Community at Appnext, a mobile ad network. Jonathan operates his own Hebrew language mobile industry blog.